In a shocking incident, a newborn baby girl was rescued from a locked trunk at a room of Bangamata Begum Fazilatunnesa Mujib Hall of Jahangirnagar University (JU) on Saturday night and she died soon after being taken to a hospital. Hall sources said an inmate of room No 426 of the dormitory and a third-year student of JU Botany department, gave birth to the baby around 4pm when three of her roommates were outside. Later, she kept the baby into the trunk. When her roommates came back, they found her bleeding and suspected something fishy. However, the girl did not confess to giving birth, describing the reason for bleeding as something else. Later, the roommates and other inmates took her to the university’s medical centre where doctors referred her to Enam Medical College Hospital. By the time, the hall inmates informed the matter to the hall administration which launched a search on suspicion. The existence of the baby came to the fore when she started crying from inside trunk around 8pm. Later, the hall authorities rescued the baby after breaking the lock of the trunk and took him to the university’s medical centre where doctors sent the baby to Enam Medical College Hospital after giving oxygen. However, the baby died there around 10:30pm. 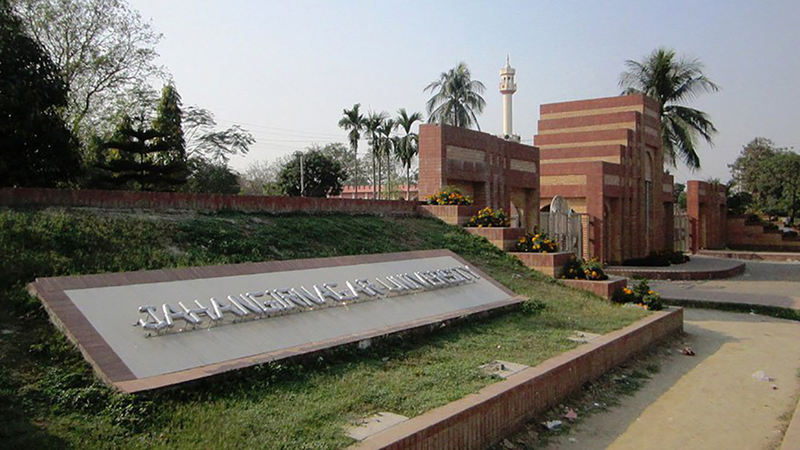 Hall Provost Prof Dr M Majibur Rahman said they formed a four-member probe body, headed by residential teacher Labiba Katun Tania, to look into the incident. The committee was asked to submit its report within 10 days. Meanwhile, a student of JU Marketing department, Rony Mollah, claimed him as the father of the baby. He said he married the girl one year ago.